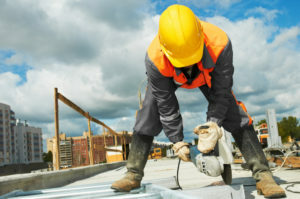 Whether you’re a one-person operation or have dozens of employees working for you, if you’re in the construction business, you probably know that you need insurance. But construction insurance requirements can be difficult to figure out, and they vary state to state and profession to profession. A plumber who can work in one place without a license could cross state lines and be required to have one. So what can you do to make sure you have the coverage you need? To begin with, it’s a good idea to put a little thought into the nature of your business. What type of jobs do you do? How many employees do you have? Is any of that going to change soon–are you planning to significantly grow your business, or to scale it down? Next, consider what types of construction insurance you need. More accurately, which types of construction insurance are required by law, which means you must have them, and which types of insurance are simply a good idea to have? You’ll need to consider whether you’re doing new construction, or work on existing structures, whether you’re subcontracting, and more. General liability insurance – General liability insurance covers you from common accidents that may occur on the job. These include bodily injury to third-parties, damage to the property where you’re working, and even personal injury like slander. Basically, it’s the number one type of insurance any business needs, and first in building construction insurance requirements. Workers’ compensation – Better known as workers’ comp, this type of insurance covers you in case a worker is injured or becomes ill on the job. If such an incident occurs, the policy will pay the worker’s wages and/or medical benefits, and prevent them from suing you directly. Note that if you don’t have any employees, this is often not required for you, but you should check your local requirements for details. Third-party liability – This one is generally a building construction insurance required by state law. What it does is protect clients from claims that you (the contractor) may make against them. Subcontractors, similarly, have to cover contractors they’re working for with third-party liability, so that only parties actually working on the site are potentially liable for any wrongdoing. Auto insurance – Make sure any person you’re employing who is driving to a job, under your company’s name, has up-to-date commercial auto insurance. Specific coverage extension – As a construction business, you have a lot of things happening on the job. As such, there could be damage from flawed planning, design, workmanship or even materials. All unintended of course! But while your liability insurance may cover many of these occurrences, the coverage is usually limited to a certain sum. Therefore, you may want to extend coverage for particular situations, so bigger claims can be made. Additional insured – There are often construction insurance requirements in contracts. In addition to showing them your Certificate of Insurance (COI), most places want you to add them as an Additional Insured. This is an easy enough process once you have liability insurance. In fact, it can be instant and free when working with an online insurance provider like Next Insurance. Other companies will usually take a few days to get back to you, and charge up to $50 for each one that you add. Flood insurance – This is an idea well worth considering if you’re working in an area of the country where flooding is more likely to occur, such as on a coast. Terrorism coverage – Sadly, this is an actual thing these days. If you’re working in certain areas of the country, and especially on large-scale projects, this may be a good option to add. Note that by law your insurer is required to offer you this coverage, so it’s not something you need to find separately. Property insurance – Most people think of property insurance as the domain of homeowners and renters. But as a construction business, you could use it, too, to protect your physical assets. These include things like your office space, warehouse, building materials, equipment and tools. The starting cost for general contractor insurance can vary greatly. Mostly, the cost depends on the insurance provider you choose, and the level of coverage you want. Also impacting the cost is the size of your business, where you are located, and what sort of work you do. You’ll pay higher premiums for a higher per occurrence limit or a higher aggregate limit (per year), and deductibles can also vary depending on your insurance company. When choosing your policy, just make sure you consider the limits, coverage and payouts, rather than shopping on price alone. You need a full package. That means coverage that’s affordable and secure, with online options such as certificates of insurance or claims filing to keep your business running smoothly.